Wool. Width-44 cm, Length-70 cm, Sleeve length-37 cm. Blue, wool, ladies blouse with thin white vertical pin stripes 1cm apart. 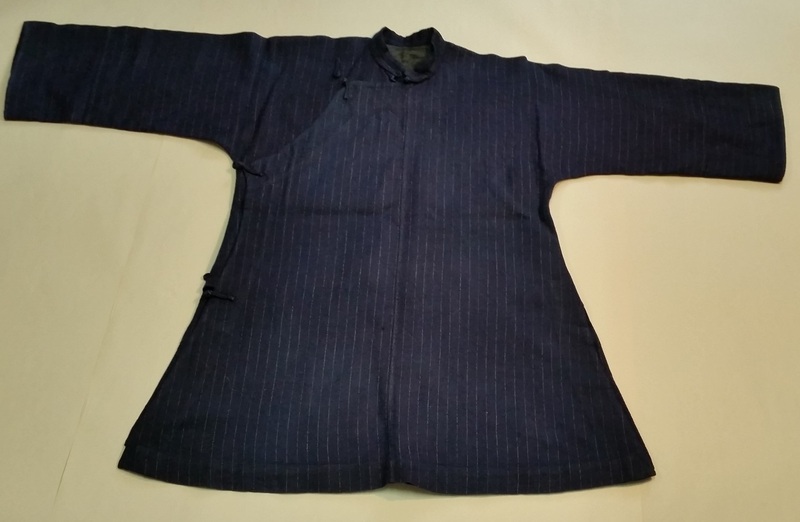 Blouse is in Chinese style with slits measuring 23.5 cm up from the hem. Blouse widens at bottom. Blouse has high, small collar. Diagonal closing on one side with four frog button closures. From Chinese family from Duncan, B.C.